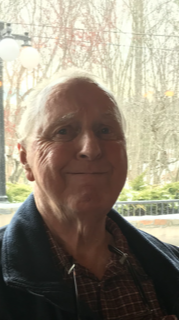 Robert (Bob) Parker, born to Mary and Ernest on, July 2, 1934, of Newtown, passed away at the age of 84 in the comfort of his own home on January 1, 2019. Born in South Salem, New York he later moved to Connecticut where he spent time in Ridgefield, Bethel, and Newtown. Bob served in the Korean War from 1954-1958 and later went on to work as an accountant for many years, primarily at Norco Inc. He was a lover of Wild West movies, animals, especially dogs, gardening and sailing. He is predeceased by his parents, his step-father Thaddeus, his sisters Emma and Madeline, and a brother Ernie. He is survived by his wife Marie of Newtown, children Charlotte Sonido and her husband Camilo of Middlebury, Pieter Parker of Gaylordsville, Kevin Parker of Newtown, and Patricia Parker of Gaylordsville. He is also survived by his grandchildren: Melinda Sonido of Middlebury, Cameron Sonido of Farmington and his wife Michelle. Additionally, he has a nephew Ira Weiss of Schenectady. A memorial service is being held at Munson Funeral Home in Southbury at 10 A.M. on Wednesday, January, 23. Private burial will be at the convenience of the family. In lieu of flowers, please donate to the American Cancer Society in his memory.